I understand any different spiritual go to you have personally or religious belief that you may practice as an individual could be different but I wanted to share a spiritual experience I had Saturday night. It was the last Saturday of winter break before school was in session the coming Monday. I had the trifecta for basketball. I coached at 10AM, and then went to two Division II basketball games to observe. The first game was 4PM at Queens University in Charlotte, NC. It was in a beautiful newly built facility called the Levine Center. They had your classic tall lengthy front court with a big bruiser to compliment. They were precise and methodical and wore Mars Hill down with long sets offensively and controlled the glass limiting their shots and creating more of their own. The atmosphere seemed very formal, but really comfortable and beautiful. As I walked into the next night game, the warm glove wrapped around me and the atmosphere brightened our night. It was 7:30PM at Belmont Abbey in the Wheeler Gym. It was Roman Catholic Community Night and upon walking in to the gym over and under Father John’s Ledge comes the shrine to Al McGuire. 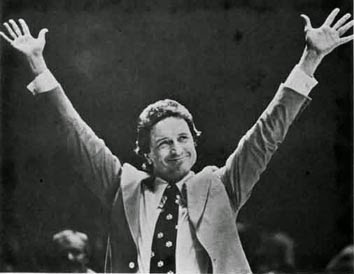 This was his first coaching job he held before going to Marquette University and winning the National Championship over Dean Smith and the Tarheels. I watched as the Belmont Abbey Crusaders pushed the ball on change of possession with urgency, they; cut, passed, picked, rebounded, got open shots from three, and they finished with over 100 points. The place was old; the bleachers were old wooden benches. The crowd was young, old, and diverse. The crowd was also relaxed and fun. It felt like a small community that was enjoying the game and the people around them. Also they were treated to a great display of exciting basketball. That’s where the spiritual feeling started to take over and kind of a basketball nirvana feeling as well as a feeling of nostalgic sentimentality. It came over me that the game is bigger than a person, like me, or a place. For someone like me though, it has gotten into my soul and means life. For McGuire and me, it puts into perspective that basketball is supposed to be fun and make you happy and challenge you as well. Much of what McGuire was about is loving life and having fun. He taught that winning is only important in surgery or war. What do these experiences have to do with my nostalgic feelings? Let me explain. Having a father from the Northeast I am often misunderstood in the South. Sometimes when I was in the Midwest growing up with a northeastern attitude in the household some of my mannerisms and colloquialisms caused some puzzled interpretations. Hearing Al McGuire, who was from the area my father grew up, on TV as a basketball analyst was like a warm glove. So was Hubie Brown but he doesn't fit into the experience on Saturday. Whenever McGuire said something it hit home and made sense. Currently Bill Raftery holds that kind of feeling among the living. Vitale does also because I have Italian relatives but he has more of a non-regional appeal. I played basketball from the age of around 5. I always loved it and was good at the sport. I wanted the scholarship and pro contract, and took some disappointment when those didn't materialize. What I developed was a love for something that I thought you had to give up after your playing days were done. The exact same can be said about academics. How did I deal with the let down of not getting the 7 digit paycheck? Bright Eyes sings a song called First Day of my Life. Here is a brilliant line in the song: “I’d rather be working for a paycheck than waiting to win the lottery.” This is how I am dealing with what our society calls retirement. I love my job as a teacher and coach. I didn't like sales after a decade although it was fun in the beginning, and it took 5 years to change careers. Although I love this job there are things I don’t like or love throughout the day. I love watching movies and playing golf but even a hobby can be taxing. In some viewpoints, life only comes around once for everyone. Try to make your life as rewarding and fun as possible. If you liked doing something as a kid and you had to give it up because you got older go back to it unless it is really creepy. Even in retirement I am going to have to find something to do that I enjoy. It may be limited by finances but if you are working in something you can enjoy most of the time you would be doing something that you would do if you were volunteering your time. Whatever it may be or wherever it may take you. 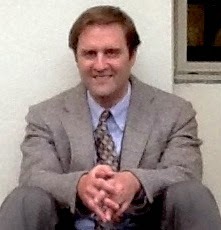 Yeah, I get it; I’m looking for the fountain of youth or the glory days as I have heard from friends and acquaintances. Let me provide this perspective; if something makes you happy and you are good at it, don’t stop doing those things. I have lost a lot of time in sales because I got away from the things that made me successful. Also, it's because I didn't like doing them, but that is another tangent. Again, don’t stop doing the things you enjoy because it looks bad to other people unless it adversely affects your health, the health of others, or your freedom. Al McGuire used to say, “Seashells and balloons.” Jimmy Valvano used to say spend some time with laughter, spend some time in thought, and have your feelings be brought to emotion either happy or sad, if you do those three things you've had a full day. He said if you laugh, you think, and you cry that’s a full day, that’s a heck of day. Furthermore, the good Father Callahan told me when I was going through a tough time; if you are driving through hell in your life or having a rough patch, don’t stop to look around, keep moving forward. If you’re unhappy don’t give up on doing the things that you think or know will keep you happy. In conclusion, I hearken to Jimmy V’s slogan, “Don’t give up…don’t ever give up.” That was the message my father delivered to me that would melt the heart of any child young or old. It came from a hardened old New Yorker, my father said to me, “Don’t ever give up on the pursuit of happiness.” I’ll remember that far after he is in the same glorious place as McGuire, God forbid. To conclude, I will always look for that nostalgic nirvana type feeling anywhere I can find a gym, field, or other venue that wraps around me like a warm glove.